Liz is one of Valley Ridge Farm’s Assistant Instructors as well as a veterinary technician at a local animal hospital. Liz has been with Valley Ridge since 2003 when she started taking riding lessons. 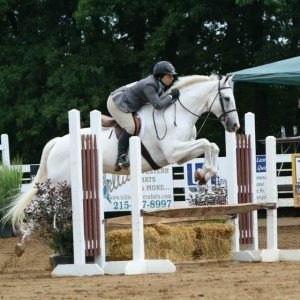 Liz has many years of experience riding, training, teaching, and showing. She likes to share her knowledge and skills in a way that makes it fun to learn. Her favorite exercises are working without stirrups and ground pole patterns.